through root exudates, sugars secreted from the by-product of photosynthesis into the root zone forming symbiotic relationships. Some of these seeds are legumes thus fixing nitrogen while others may be annual grasses forming extensive roots giving much edge to this exchange process. Rather than tilling these plants in, they are merely cut or on a broad acre crimped by a tractor to lay them on the ground forming organic material to be cycled back into the soil through the myriad of creatures which comprise the soil food web. 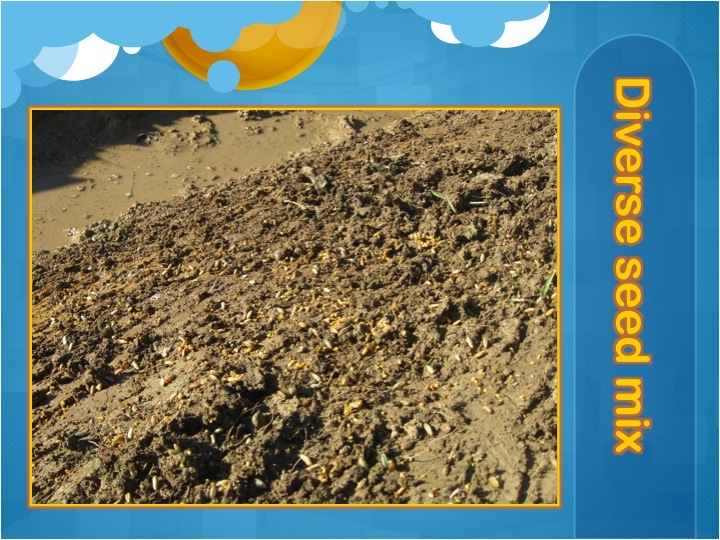 It forms a temporary mulch layer as the nitrogen rich plant material is broken down rapidly. The next crop can be sown through the material or transplants relocated to their new well fed home after an allotted breakdown period occurs. This technique has its place in many systems, broad acre annual agriculture, small-scale intensive forest gardens, and even forming part of the keyline system. 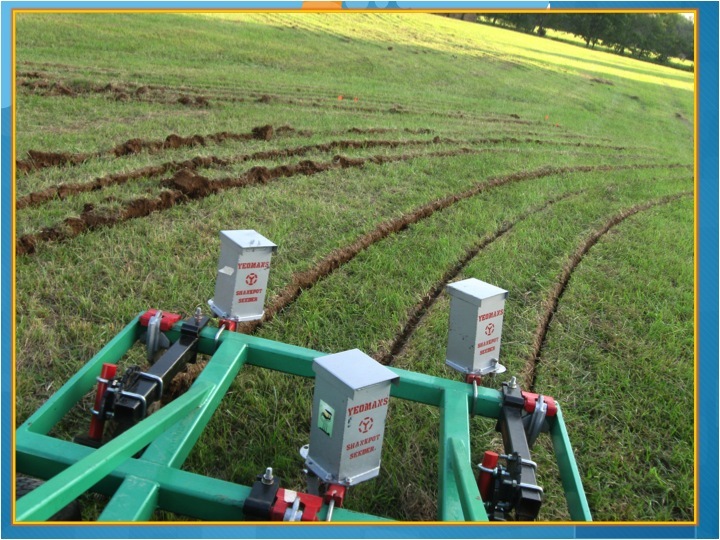 It can be just a few square meters worth of plantings around a new tree crop or hectares in a grain field. It’s a strategy towards building soil, protecting it with a sea of green, and giving back to a natural resource that needs so much after the centuries of abuse we have shown it. 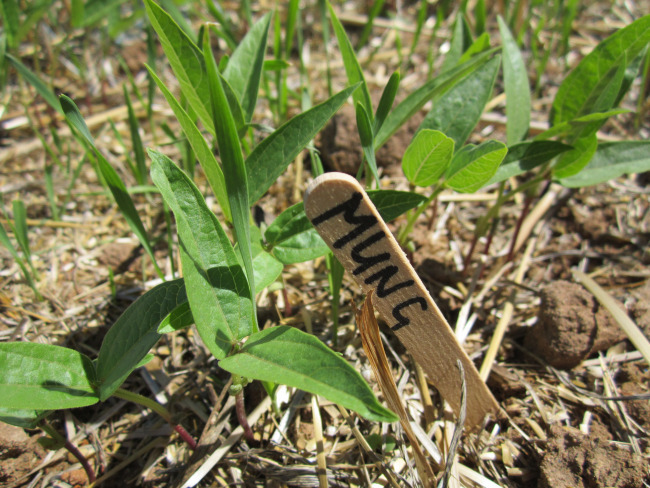 couple that we use during the warmer months are buckwheat, cow pea, mung bean, and Phaecelia or scorpion weed. Mung bean is one I have used extensively all over the world because in tropical areas I seem to be able to find them at the supermarket readily available for a good price. I simply soak them beforehand for 24 hours and then sow the disturbed earth. Soaking can be really useful against seed predation. One summer while setting up gardens for the BOOM Festival in Portugal, I decided to sow a cover crop to get some green material flowing as well as soil biology repair. After implementing hand dug terraces and an irrigation system, I sowed an extensive cover crop of a mix of annual grasses with one being wheat. The next day I came out to check on the planting as Permaculture systems dictate protracted and thoughtful observation, and to my surprise the ants, which abound in this dryland context, were heartily carrying them all away one by one to their underground dens. There they cultivate fungus for them to eat and just as we do with production of mushroom mycelium for inoculation, ants relish this perfect carbohydrate resource for their fungi operation. Soaking them beforehand kick starts the carbohydrate conversion into seed sprouting making them useless to the ants once they have had this treatment. soaked beforehand to ensure better success and less insect predation. 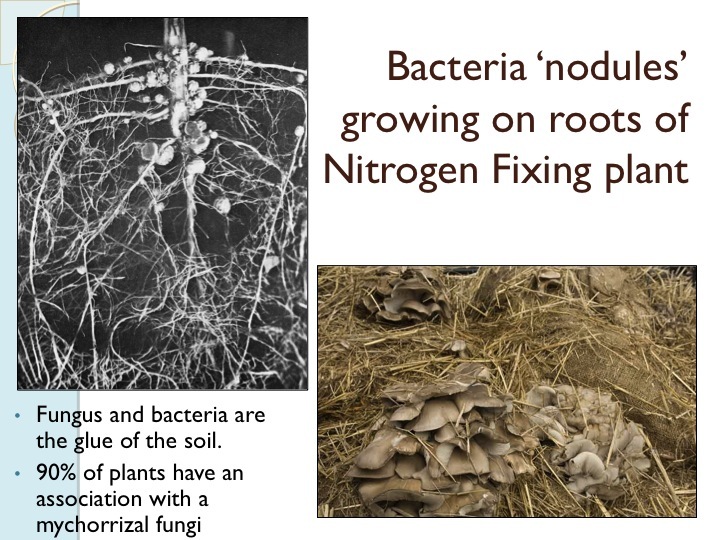 An inoculant can be applied to further increase nitrogen-fixing capabilities and mycorhyzal connection. Light mulch over top can be applied where needed to protect from birds and drying conditions that prevent seeds from germinating. Irrigation by hand or a more mechanical system maybe needed to get the seeds to sprout. The plants are allowed to grow for a given time and observation of the system is inherent. If germination is sparse a further sowing maybe needed. 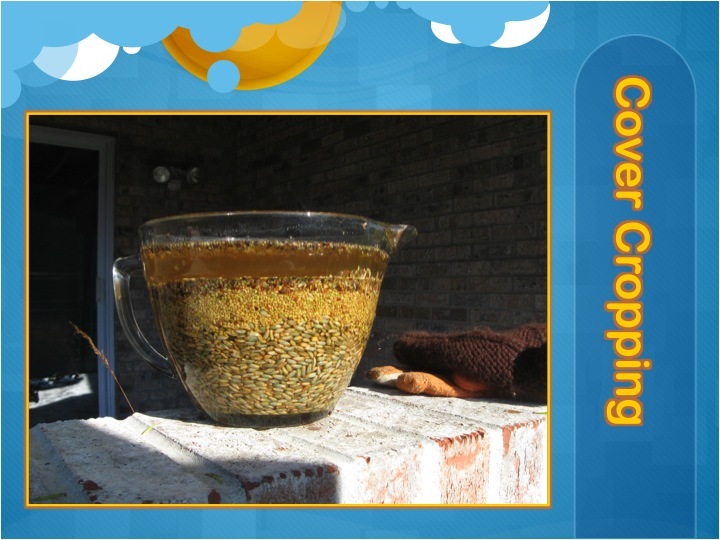 When the plants begin to flower, the material should be cut and laid on the soil surface. If the plants are allowed to flower and set seed, they will use much of the photosynthetic energy that could have been redirected into building soil. For example, nitrogen-fixing plants will uptake nitrogen to form protein rich beans that we and other creatures of the natural world rely on for sustenance. Instead by cutting them just when they begin to switch out of vegetative growth, we redirect that energy into the soil thus giving future natural capital to the soil and our next crop. After two weeks, the space is usually ready for planting and can be done with transplants most easily on a small-scale or mechanical drill seeding on a larger scale. 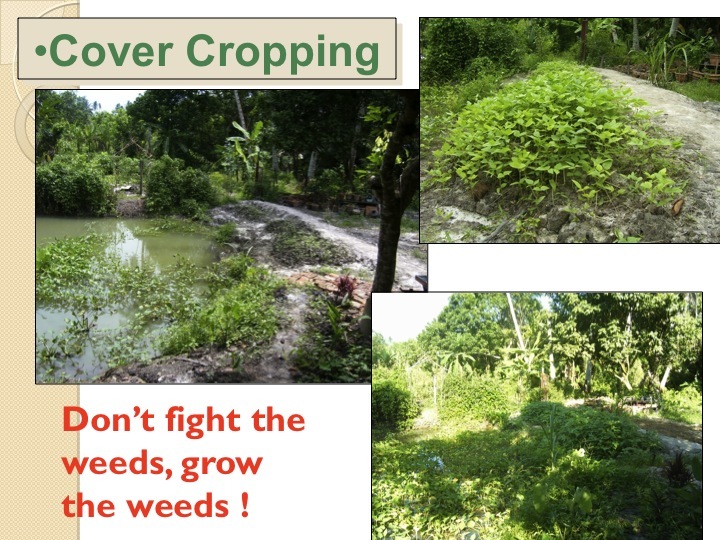 Cover cropping is becoming a more widely accepted conventional agriculture technique as conservation of soils is done easily through this technique. Instead of soils lying bare for months on end to be eroded away, they are instead protected and built through this simple technique. For example some corn farmers are now tilling after harvest and sowing cover crops to prevent winter erosion and increase fertility. Cornfields are deserts essentially; extremely low diversity with huge amounts of barren soil, even during the growing season. 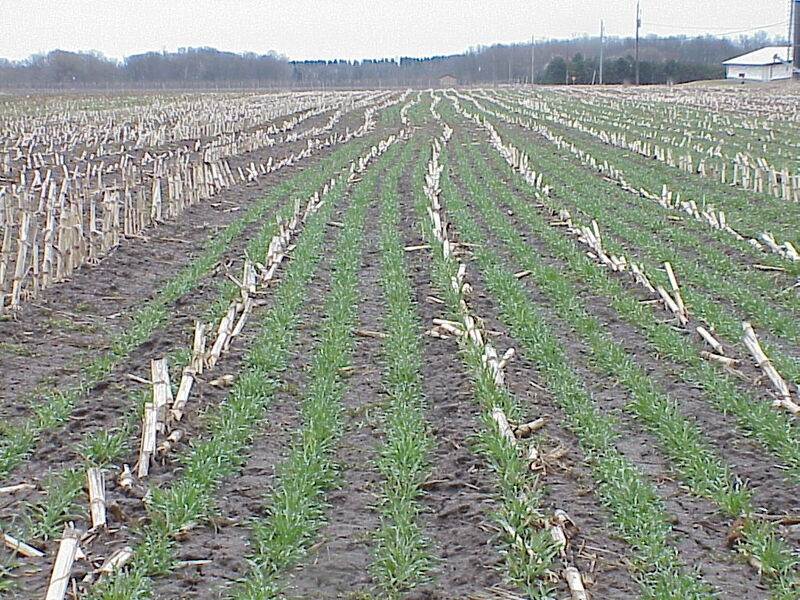 To reverse the trend of degradation that is inherent in desertification, cover crops are utilized quite easily with modern agriculture technology. On a small-scale, if you have beds you know you want to plant in a summer crop of say tomatoes, squashes or peppers, you can remove the fall/winter mulch and sow a cover crop. You can start in the fall if you want and in the Mediterranean climates this is often how it is because of the desire and ability to get summer crops in early. In more temperate climates, waiting till the spring to sow winter wheat and favas is possible as well. Allowing them to grow for several weeks to a month still kick starts the soil food web and mimics what the forest does. As soil temperatures warm, the forest sends out an array of annual perennial green before the summer vegetation and trees take hold. Analogously, one can sow this winter/spring cover crop and let it grow and two weeks before you know you will be sowing or transplanting summer crops you can cut the vegetation. This also grows mulch in place and frees use from further outside input. Furthermore, in the keyline system a cover crop is used in the riplines to do much of the same as stated throughout the article. 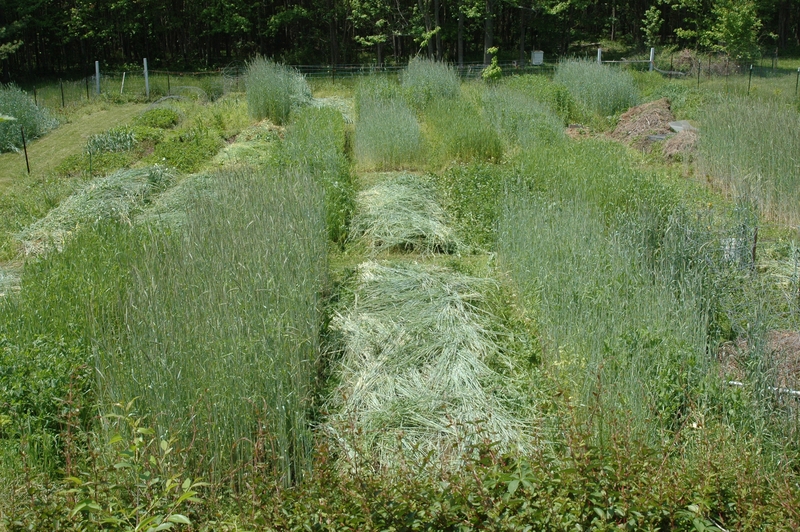 However when animals are rotated through the system, they relish the sweet annual grass or protein rich legume foliage. 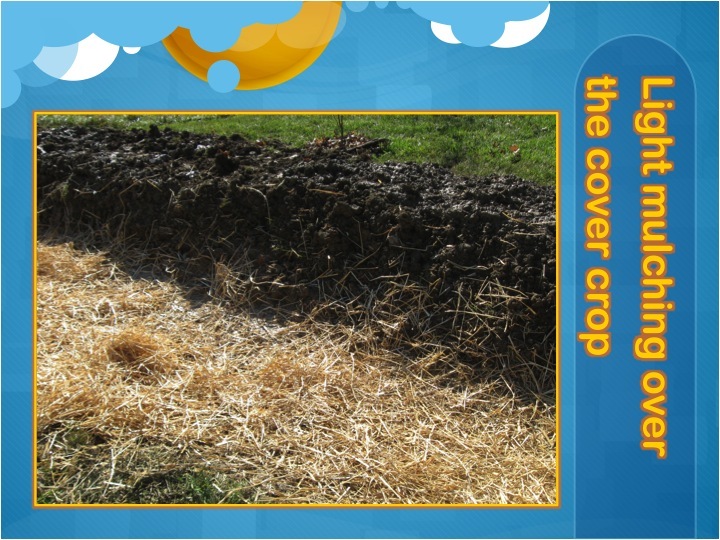 Cover cropping can also be done with chicken tractors allowing them to clear the ground then sowing for the crop fertility to produce seeds and grains for them to eat later. Alternatively, on a shorter rotation chickens could be brought back after just a couple of weeks and allowed to eat the young vegetation cycling it once more and then planting out. Overall it’s a great technique and is one of the elements that supports the important function of soil building. It can be a fun technique to play with time and space and add extra elements of management. By returning organic material back to the soil, life is supported, cycles completed and abundance follows. Nice article, Doug…I was wanting to learn more about cover cropping in the last week, so you read my mind!